The Best CPA Youtube Channels in our index using search and social metrics. Subscribe to these youtubers because they are actively working to educate, inspire, and empower their audience with frequent updates and high-quality videos. About Youtuber Andrew Argue is Certified Public Accountant turned entrepreneur who has dedicated his life to helping accounting firm owners, EA's, and bookkeepers develop the most essential part of their businesses: SALES. About Youtuber Hector Garcia, CPA sharing about QuickBooks and Accounting Videos. About Youtuber Follow us to keep up with videos on CPA from JJ THE CPA. About Youtuber At Roger CPA Review, the mission is simple: to change the way students learn to achieve maximum efficiency. About Youtuber CPA Australia is committed to being the thought leaders in Australia and internationally in the areas of financial reporting, taxation and corporate governance. About Youtuber The SVA companies provide a wide range of professional services, including accounting, tax, business mergers & acquisitions, assurance, real estate, information technologies consulting, trust & estate administration services and medical coding & billing services to privately held businesses and to individuals. About Youtuber I am A Licensed CPA in the State of Florida. I am the Strongest CPA in Florida. I have a lot of fun making videos and helping people learn Accounting through concepts that I wish I knew when I was a beginner at Accounting. About Youtuber Michelle L. Long, CPA, MBA and founder of Long for Success, LLC has helped thousands of accountants grow their business and knowledge of QuickBooks and QuickBooks Online through her training, writing and coaching. About Youtuber With The Real Estate CPA, you will receive financial, accounting, and tax expertise to enrich your real estate portfolio and business. About Youtuber CPA.com empowers CPAs and businesses for the digital age. The company develops and markets innovative, technology-based products for the accounting profession, and works with best-in-breed partners to offer web-based solutions for CPAs and their clients. About Youtuber Here at Thomas CPA we are passionate about helping accounting firms and small businesses eliminate inefficiencies through the use of custom systems that allow you to focus on your business rather than being stuck in your business. About Youtuber I am making this channel to help the students in any manner i can . I have done CA CS and masters in accounts from India . Right now I am living in New York and here I did CPA. About Youtuber We help to implement best accounting practices, manage deadlines, implement payroll, develop budgets, and forecast earnings. 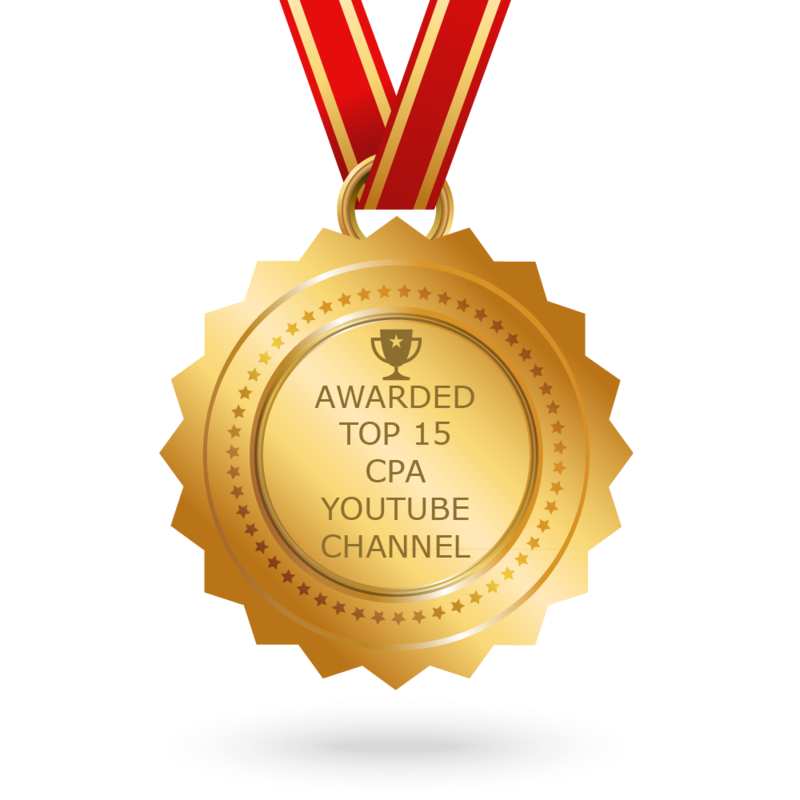 CONGRATULATIONS to every youtuber that has made this Top CPA Youtube Channels list! This is the most comprehensive list of best CPA Youtube Channels on the internet and I’m honoured to have you as part of this! I personally give you a high-five and want to thank you for your contribution to this world.